Following the Indian government’s approval of Apple’s request to open retail stores in the country, Apple is planning to launch three stores in India over the course of the next 18 months. Apple will open Apple-branded retail stores in Delhi, Bangalore, and Mumbai before the end of 2017, according to a source that spoke to Indian website FactorDaily. A team of more than 40 Apple executives and employees is said to be searching for ideal real estate locations for the three stores, each of which will span more than 10,000 square feet and will be located at “high street locations.” Apple is planning on investing $3-5 million per store. indian_flag At the current time, Apple has no retail stores in India and instead sells its products through third-party distributors in the country. India has decided to exempt Apple from a policy that requires foreign stores to source at least 30 percent of their goods from domestic suppliers, opening the door for the first retail stores. While Apple will be able to open Apple Stores in India, a second request to import refurbished iPhones, which it could sell at lower price points, was recently denied. India, like China, is seen as a largely untapped market for Apple, and the company is eager to gain a stronger foothold in the country. In addition to retail stores, Apple is planning to open a $25 million technology development site in Hyderabad, India, which will house more than 125 employees and focus on maps development. 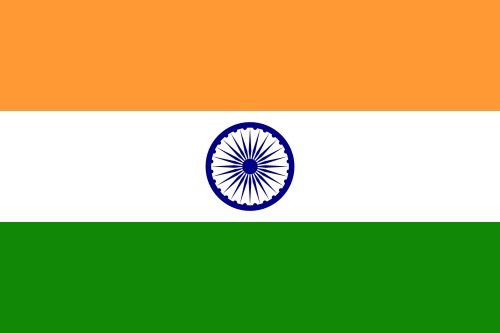 Apple is also said to be planning to unveil a startup accelerator in India, designed to incubate ideas for new iOS apps. Tim Cook is planning to visit India this week, where he is expected to announce the accelerator and perhaps the new retail stores. Posted on May 16, 2016, in #international, #retail, Other. Bookmark the permalink. Leave a comment.